The National Council for the Training of Journalists has named its own headquarters as one of the venues for the organisation’s flagship event this year. The annual Journalism Skills Conference and Awards for Excellence will be held in Essex, with the NCTJ’s office in Newport hosting an evening reception for guests during the event. 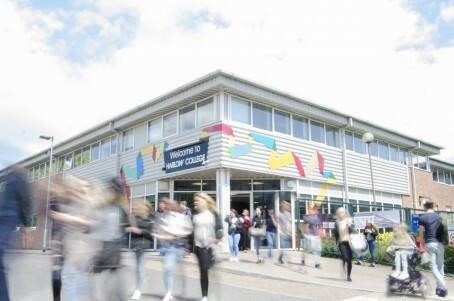 The two-day conference itself will be co-hosted by Harlow College, pictured, which is currently celebrating its 60th anniversary, while the awards will be presented at a gala dinner and ceremony held at Quendon Hall. Taking place on Thursday 29 and Friday 30 November, speakers at the conference will include Joy Yates, editorial director at Johnston Press North East, David Ottewell, head of Reach’s data unit, Rebecca Hudson, head of news at the Salisbury Journal and Bev Holder, chief reporter at the Stourbridge News. Topics to be discussed include the skills and techniques needed to bring to life data-driven stories, how to stay strong and keep safe as a journalist, the future of magazine journalism as well as the latest tips and tricks to verify information and images from social media in the fight against fake news. On the Thursday evening the NCTJ will open its doors for a pre-ceremony reception ahead of a gala dinner at Quendon Hall, a 17th century mansion house. £540 for the full two days plus grub! £55 dinner only. And don’t forget the VAT! I find it difficult to get £10 worth of batteries claimed on exies , so gods’ know how’d I pull this off! !